Chris Schwarz put up an interesting post about wedged dovetails he found in furniture and wondered aloud why these were use -> link . In the comment section, Kelley Blanton (organ builder) entered a fascinating response. 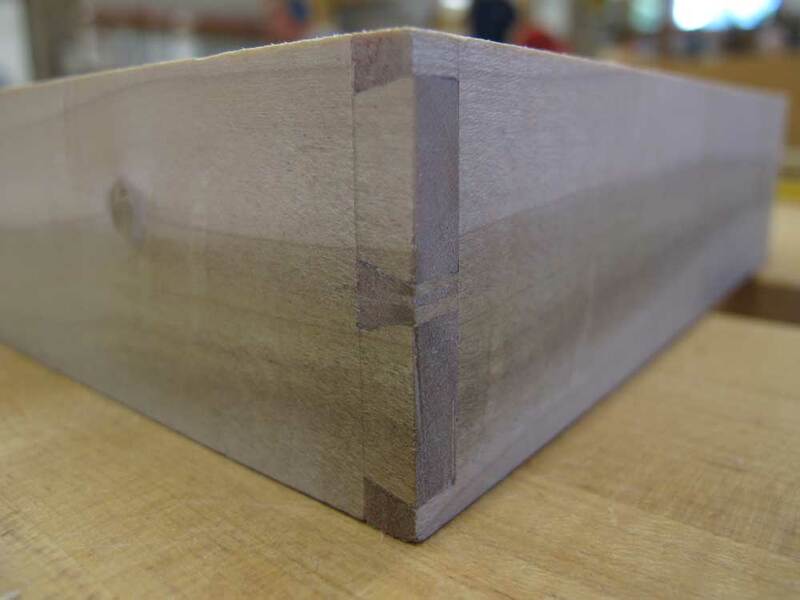 The secret to a wedged dovetail is purposefully cutting the tails out of square. … Now the joint can be assembled dry with no glue. It goes together with hardly any effort since the joint is slack everywhere except at the very bottom, where it can be quite tight. At this point the chest is completely together, no clamps , no glue and no banging on tight fitting dovetails. Glue is brushed into each opening , then a wedge driven in which spreads the pin tight against the dovetail socket and at the same draws the joint down against the shoulder, completely avoiding the need for clamps. Read more here under the comment Kelley Blanton – August 6, 2012 at 8:06 am.